Creating your own wedding flowers with the help of family and friends can add a wonderful unique touch to your wedding day. On this one day intensive workshop you will learn how to arrange a variety of bridal flowers from bouquets and buttonholes, to simple but stunning ceremony flowers which you can later use as party venue decorations. Taking on the flower arranging for a wedding can be an exciting but often daunting task with the pressure of high expectations, sourcing ingredients, conditioning and keeping flowers fresh, choosing suitable designs, working with a given budget and general logistics for the day. With planning and a little bit of floral design guidance you can make sure you will be prepared for the job and most importantly enjoy one of the most important days in your life. During our workshop we will talk about choosing the best cut flowers, foliages, enhancing your designs with home grown and natural, foraged ingredients, conditioning and storing your flowers. On the day you will learn to create a romantic, wild, naturally styled bouquet, mini posy style buttonhole flowers and delicate hair flowers. We will be looking at different ceremony flower designs, easy to install as a beginner and will create a series of stunning meadow style aisle flower arrangements that can also double as table centrepieces at your wedding party. Ballywalter Park is a stunning estate on the Ards Peninsula, the Eastern coast of Northern Ireland with spectacular views over the Irish sea and the Scottish coast beyond. The Grade A-listed mansion house is home to Lord and Lady Dunleath and their family. Lady Dunleath is passionate about the gardens and is in the process of restoring the walled garden and surrounding greenhouses, potting sheds to their former glory to host workshops and garden gatherings. All materials and tools will be provided, together with a delicious home cooked lunch in the beautiful Ballywalter Park. 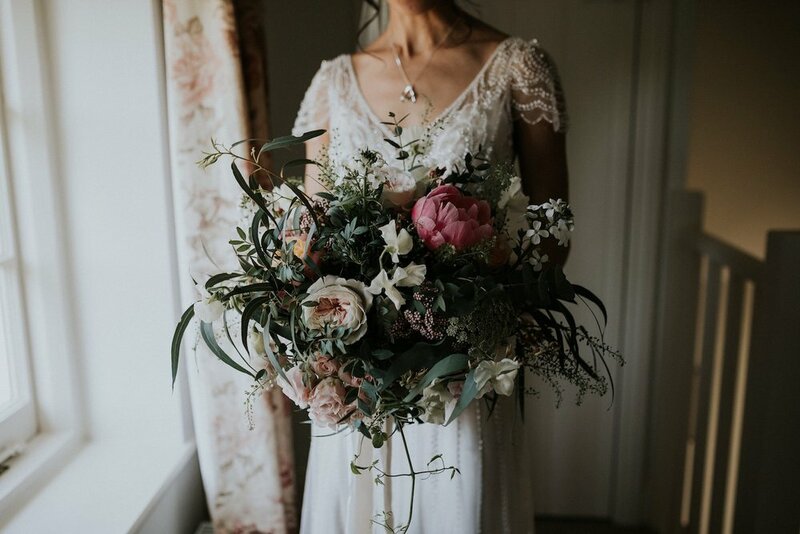 Weather permitting we will also take a walk and look at the plants, flowers around the walled garden and the grounds of this stunning estate, to gather ideas on using seasonal, naturally grown ingredients for your wedding designs.